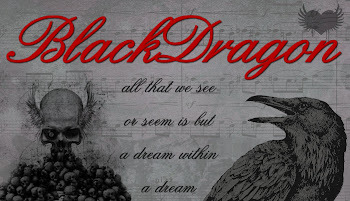 Welcome back......another couple of days closer to creepmas. 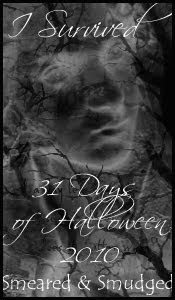 It's now Day #8 of the SMEARED AND SMUDGED 12 DAYS OF CREEPMAS BLOG HOP. all the details about this amazing CREEPMAS CELEBRATION can be found on TERRA'S BLOG. 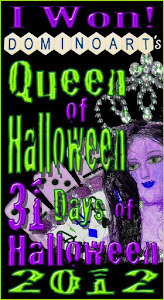 Today i have 2 things to show you... this card isn't really creepy but its not traditional Christmas either. FrEAKY FREEBIE ...where you are given a FREE digi image to create something with. This months image is STEAMPUNK SANTA. I coloured him with promarkers, used DP from my stash and some die-cut cogs. The stamp is from Third coast.... stamped directly onto the domino, heat set, then delicately coloured with promarkers so not to disturb the ink. Its then coated with diamond glaze. Thanks for visiting me today. I hope to see you on the forum. SPARKLES MONTHLY CHALLENGE-ANYTHING BUT A CARD. my domino fridge magnet. The both are very well. Beautiful. 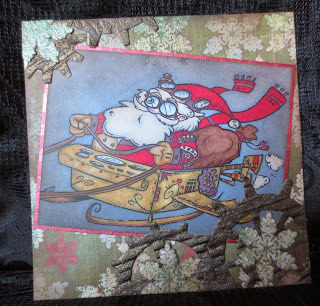 A great steampunk Santa...I have the same background papers as you, I'm trying to use as little as I can from that pad - they're all so gorgeous. I love the fridge magnet, thank you for writing down how you made it. I love that Steampunk Santa! Want him! And WOW - you rocked that domino! Giggle....love Santa in his superfast sleigh with the goggles on due to the high speed he's coming at! Such a fun make! Thank you very much for sharing it with us at SanDee&amelie's! Two great projects. 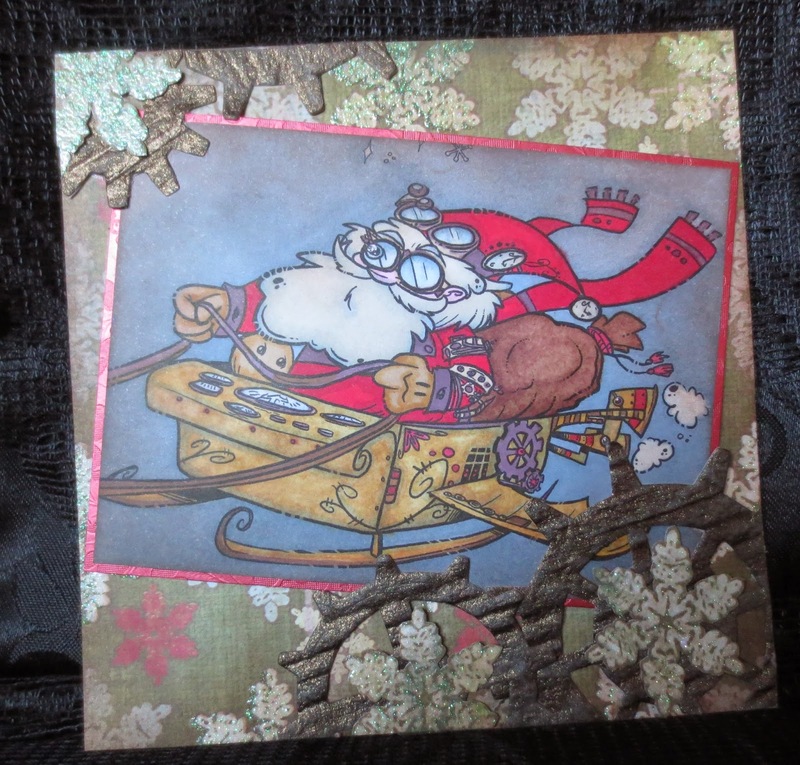 Love how you colored the steampunk Santa. He looks fabulous! What a fun domino magnet. Love your stamp and coloring! That little guy is creepy - indeed. :P Btw. I love what you did with the Steam Punk Santa. Your awesome colouring really makes him justice. The pretty blueish background too. wow those are some awesome creations. I didn't know you could stamp directly on a dominoe... I'll have to try that out! Great projects today, BD. I love that domino. Great coloring on Santa. Good job, I like them both...very nice job! 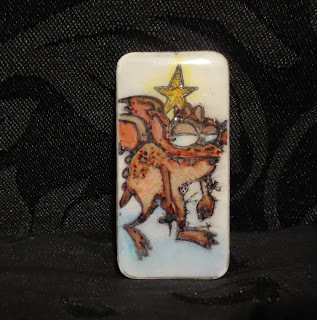 Love the steampunk santa, and your domino w/ the creature is cute Love it! Hi there, what a lovely Santa-Card. I am so sorry for my late commenting, but time runs so fast this year. Your card is so great, love also the decoration you used. Thank you very much for joining us at the Fun with Shapes and more Challenge. Great fridge magnet. Thanks for sharing with us at Sparkles Monthly Challenges for our 'Anything but a card' challenge.